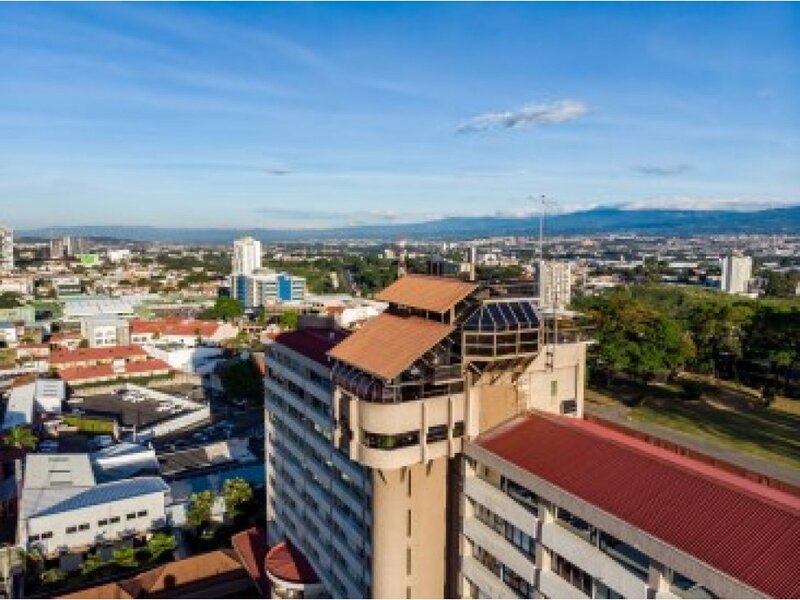 This Unique Hotel roof top Penthouse is located across the street from the prestigious Sabana Park, just steps from Downtown San Jose, 10 minutes from the fine Escazu area Schools, restaurants, hospitals and exclusive amenities. 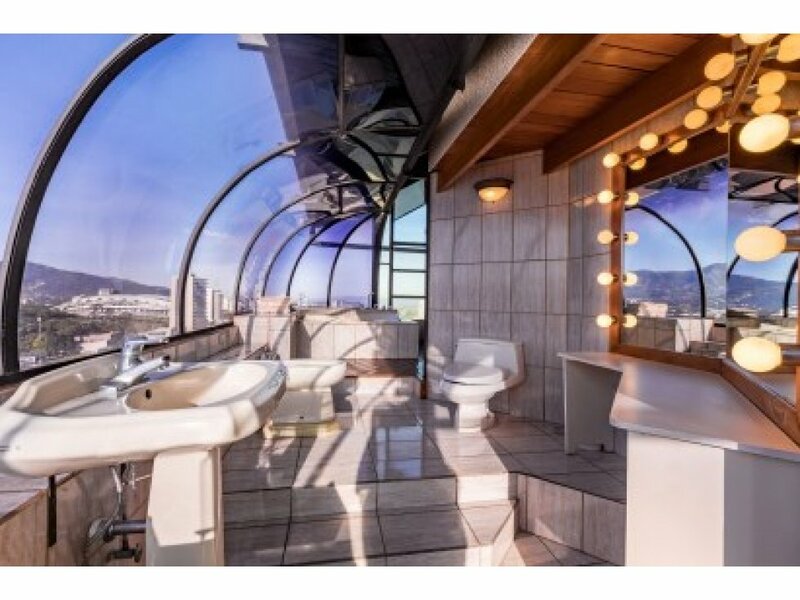 This is a one of a kind and extremely unique 5 floor Penthouse unit boasting with impressive mountain and city views. 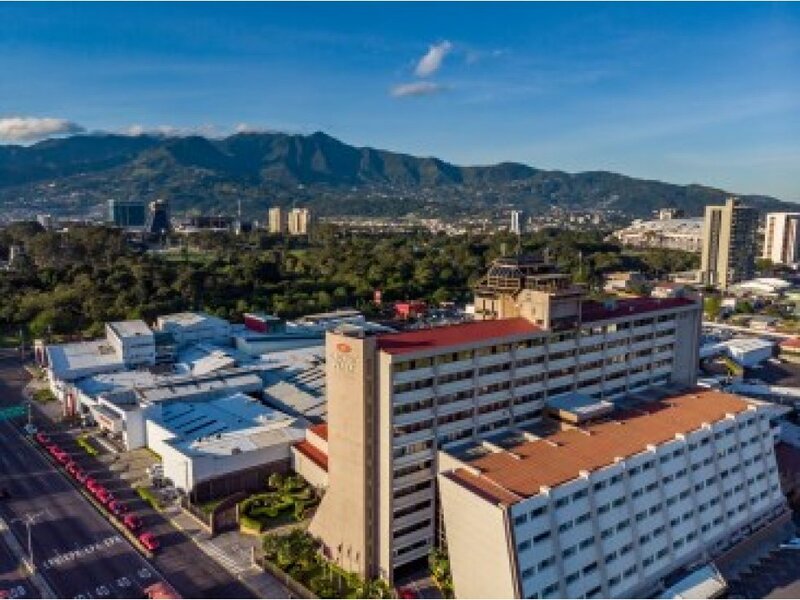 Great Central Location close to everything San Jose has to offer and just 10 minutes away from Escazu. 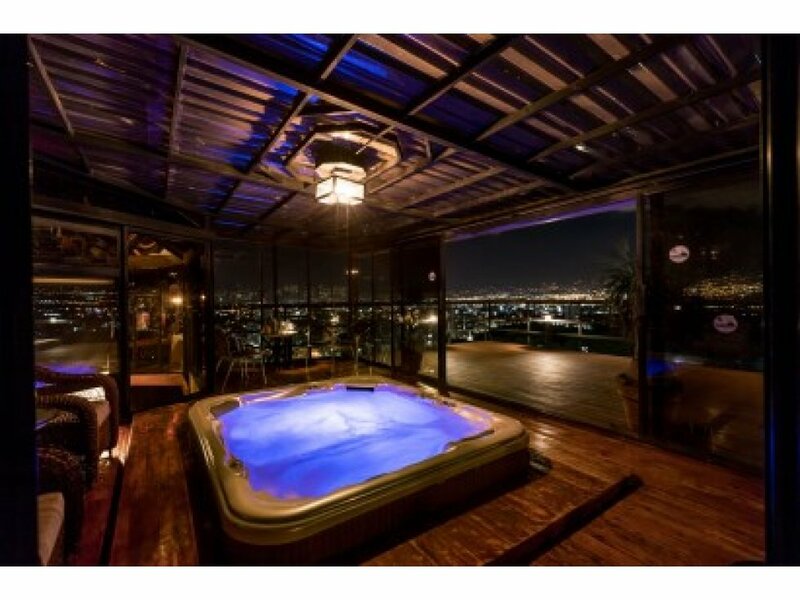 It is located just a short 12 minute drive from the SJO International Airport. 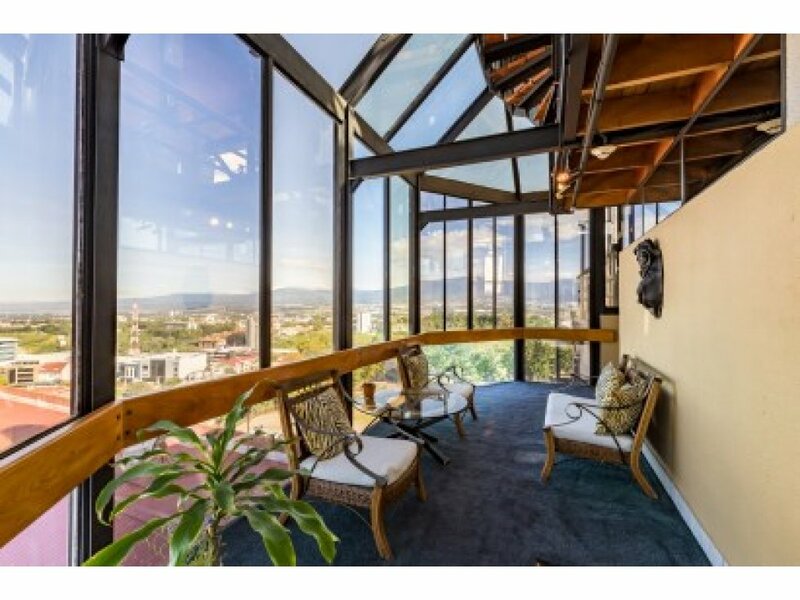 The Penthouse is a private residence and is a well-known landmark in San Jose. 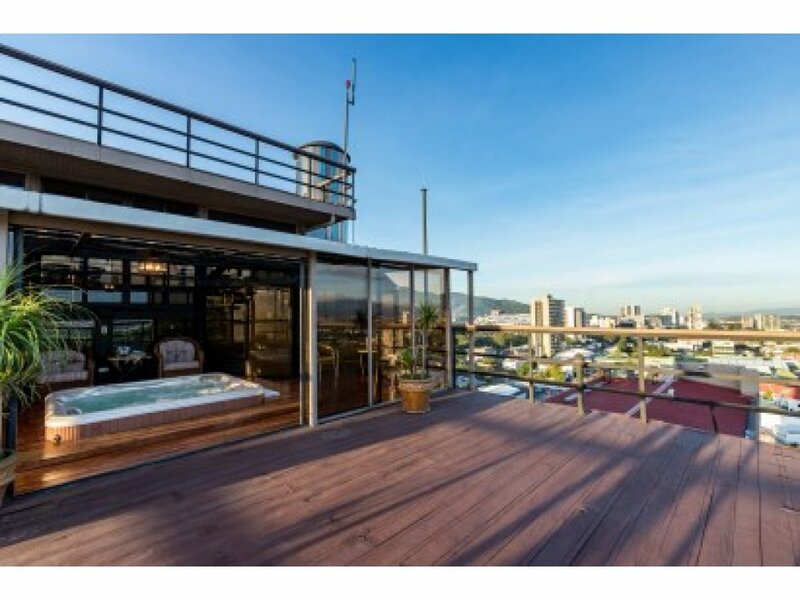 This property features over 3500 sq. 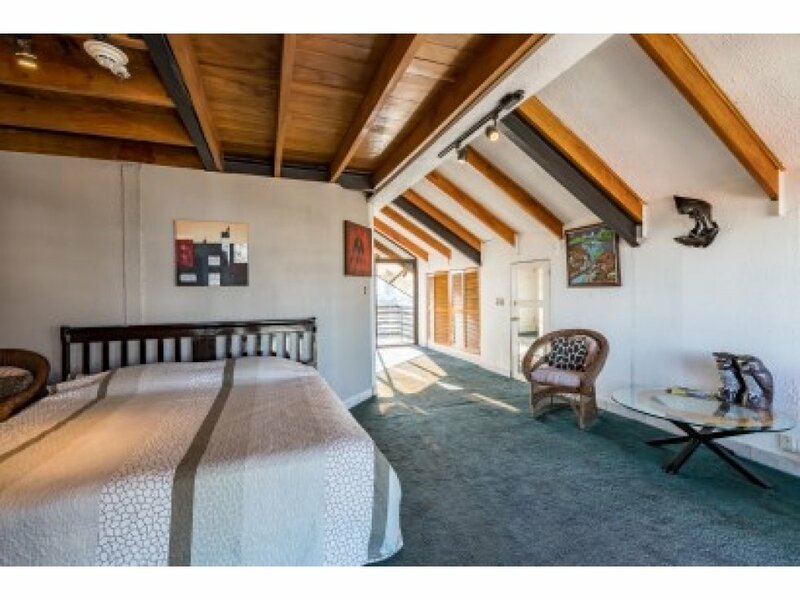 ft. with 2 bedrooms and 2 full baths and one half bath plus a private parking spot in the guarded parking garage under the hotel. 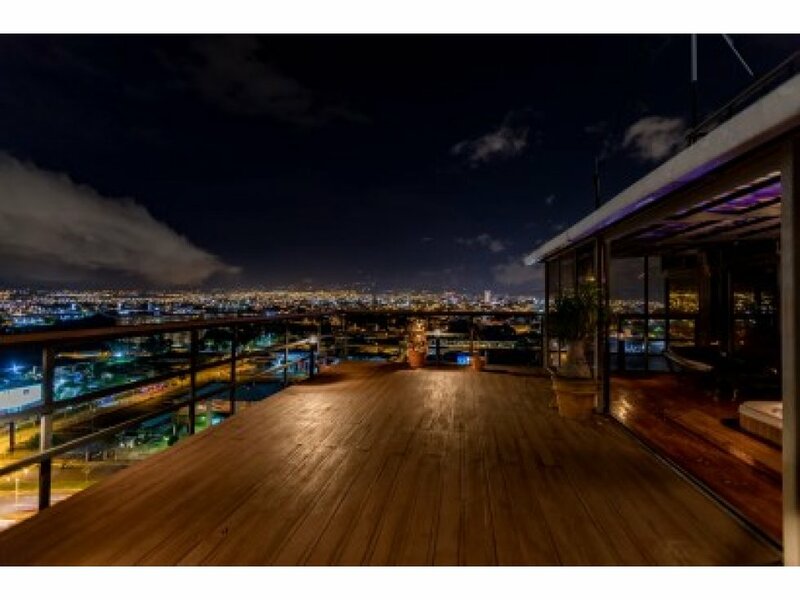 This Penthouse also has excellent 24 hour manned security and video surveillance plus guarded and gated parking lot. 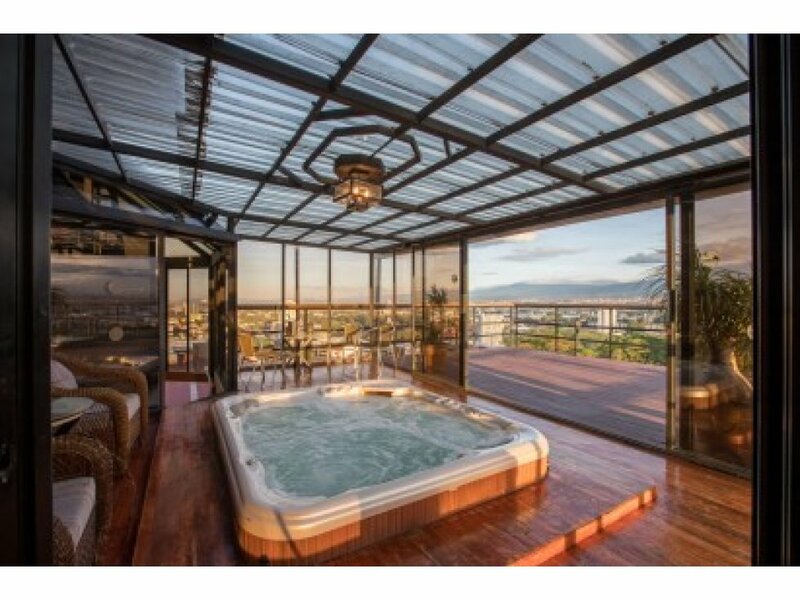 This Costa Rica Penthouse is ideal for a vacation getaway, corporate retreat or full-time residence. 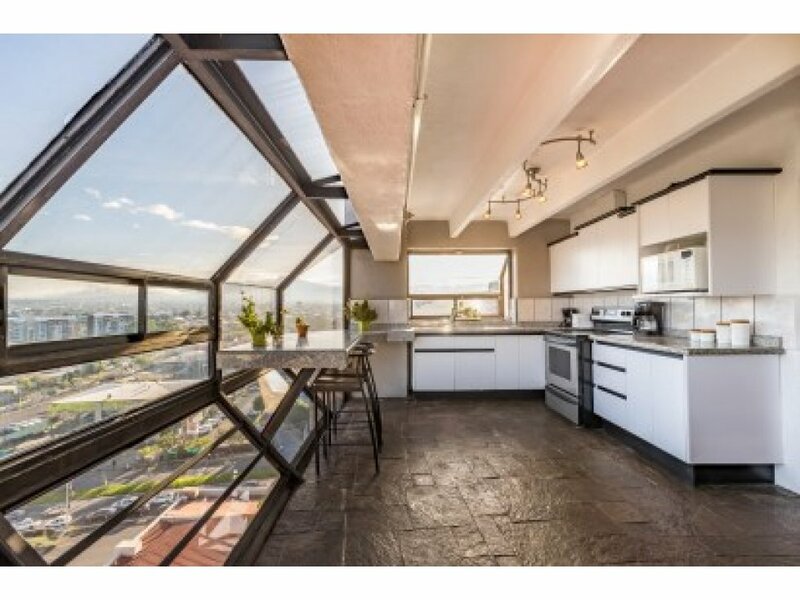 This Penthouse also carries an active Commercial License and has been used as an Office in the past. 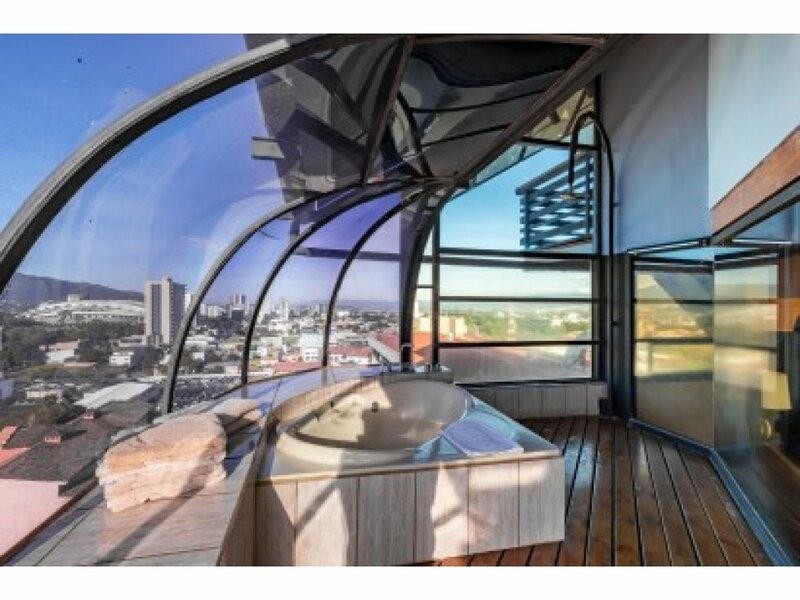 The Penthouse is truly a one of a kind residence with the absolute BEST 360 degree views of the city and mountains. 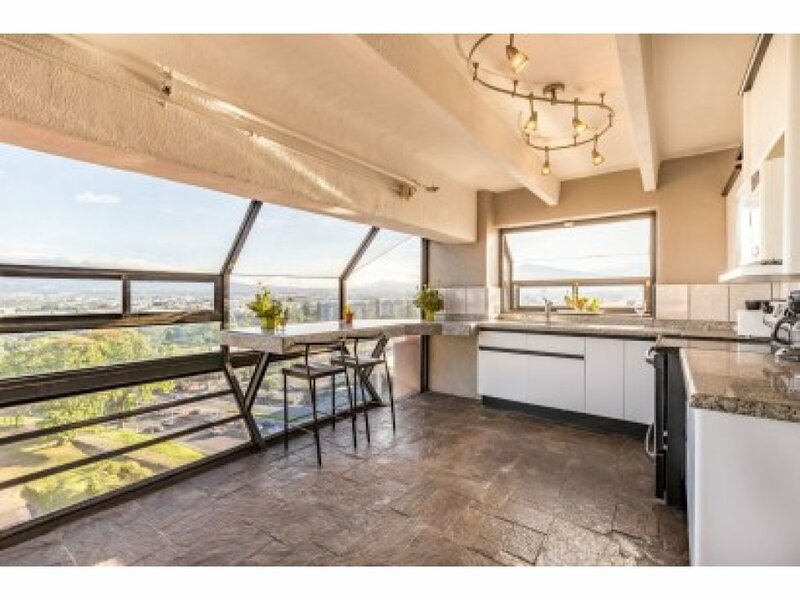 The views for the penthouse are unmatched from any other penthouse or office in the San Jose Valley. 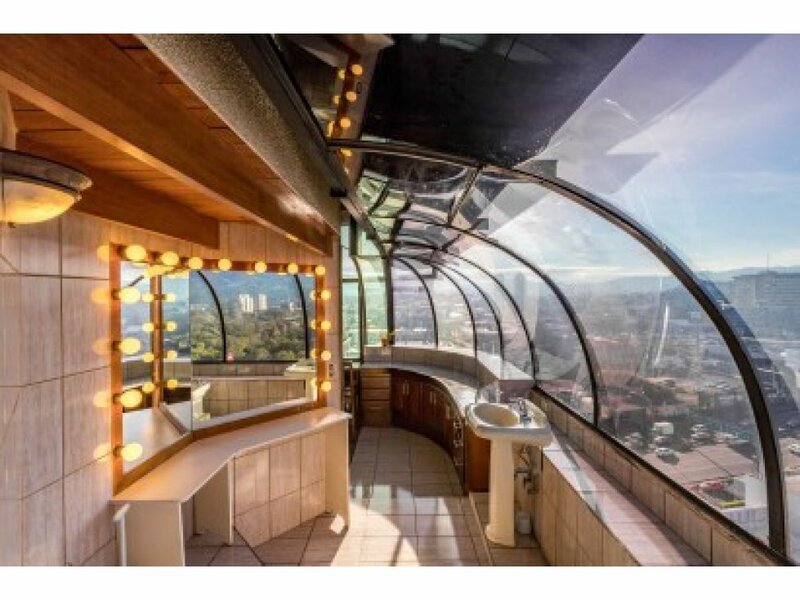 This San Jose penthouse has 5 distinctive floors and is unlike anything you have ever experienced. 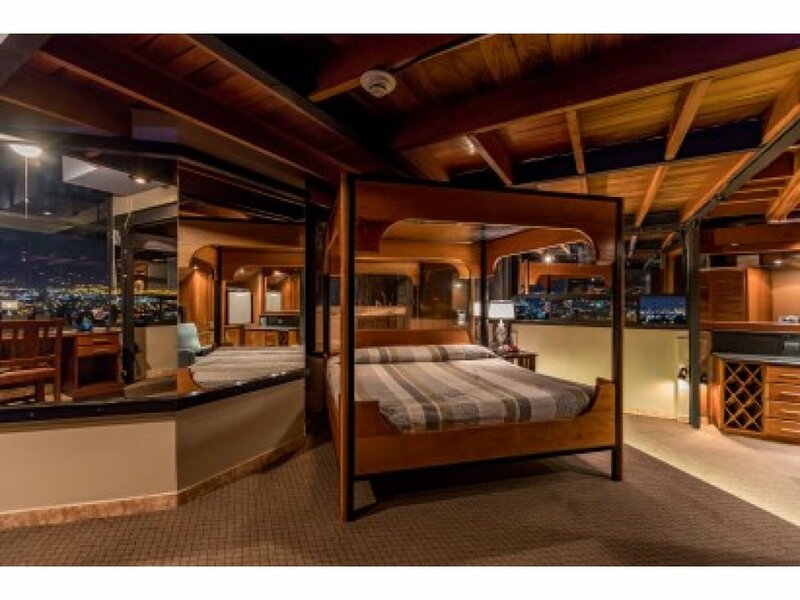 The construction is primarily concrete and steel with an abundant use of exotic hardwood throughout. 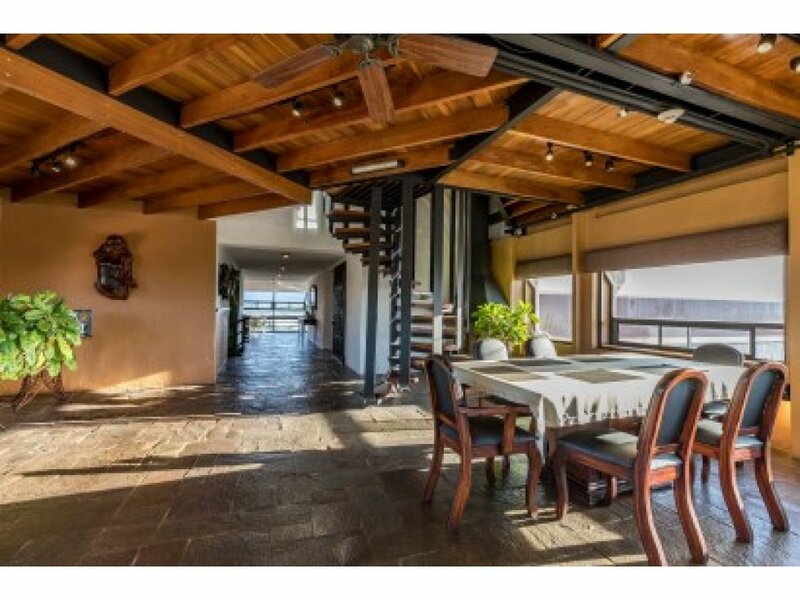 This Penthouse is designed for Costa Rica living and entertaining. 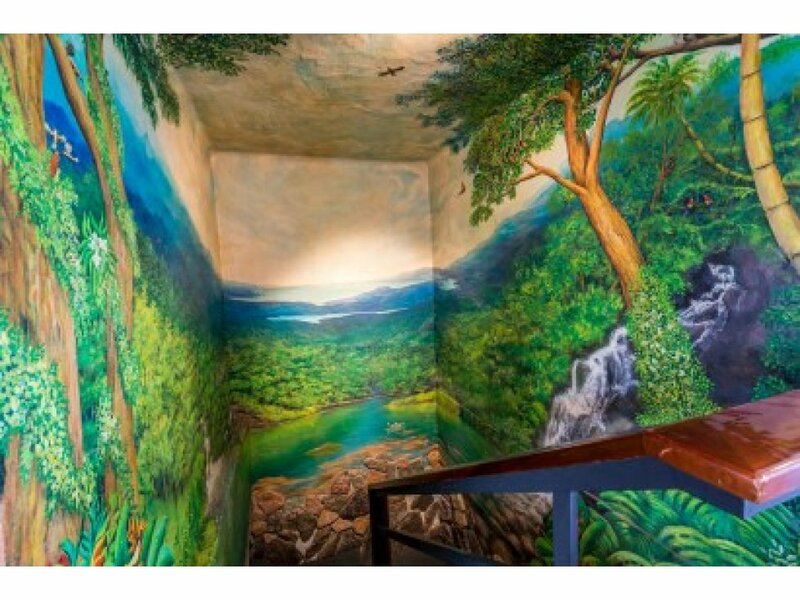 On the tenth floor you will find one of the two entrances to The Penthouse, enter through the door and into a 2-story hand painted mural of Costa Rica´s landscape. 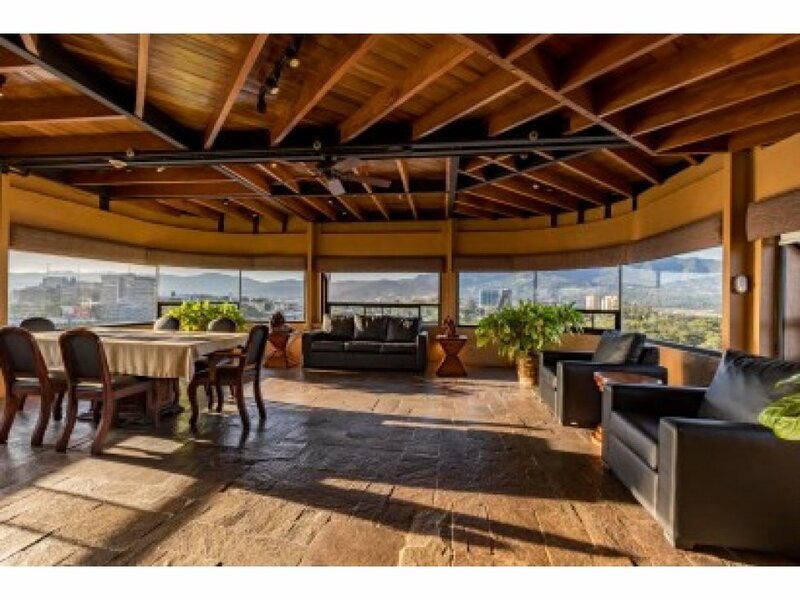 The kitchen has breath taking views and has all granite counter tops, table and bar area. 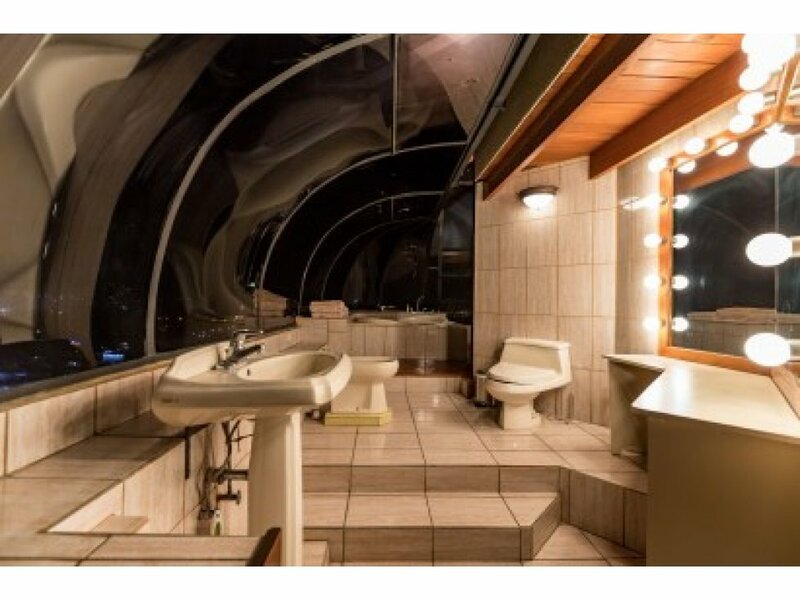 There are two master suites both with full master baths. 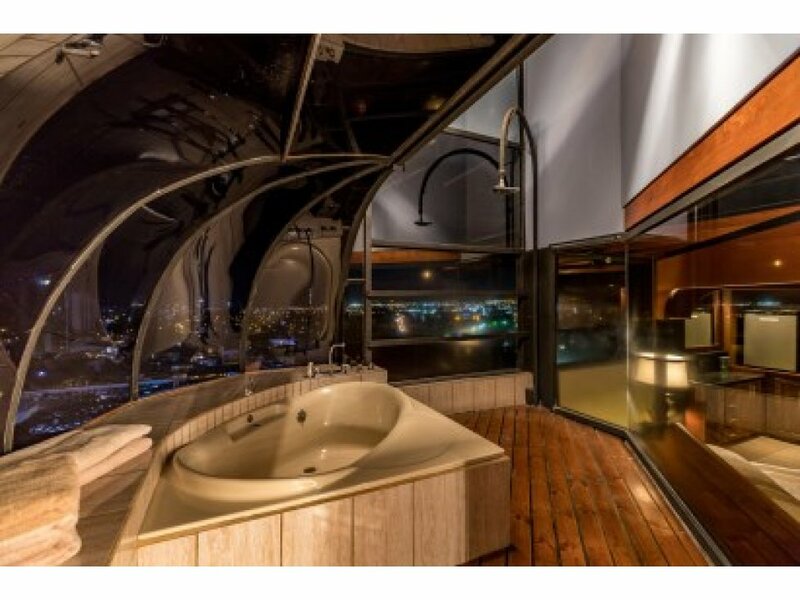 The Penthouse also features spacious living room, a fireplace, large built in (Hot Springs) hot tub opening up to a large outside deck; sitting areas, intimate niches, spiral stair case and great room for conferences, meetings, dancing and entertaining plus observation deck on the very top. There is also an elevator that goes from the parking garage right to the 11th floor that makes deliveries extremely convenient. The sellers will consider some type of owners financing with terms to be determined. The sellers will also consider a Lease Purchase. Call for more information or to see this property. 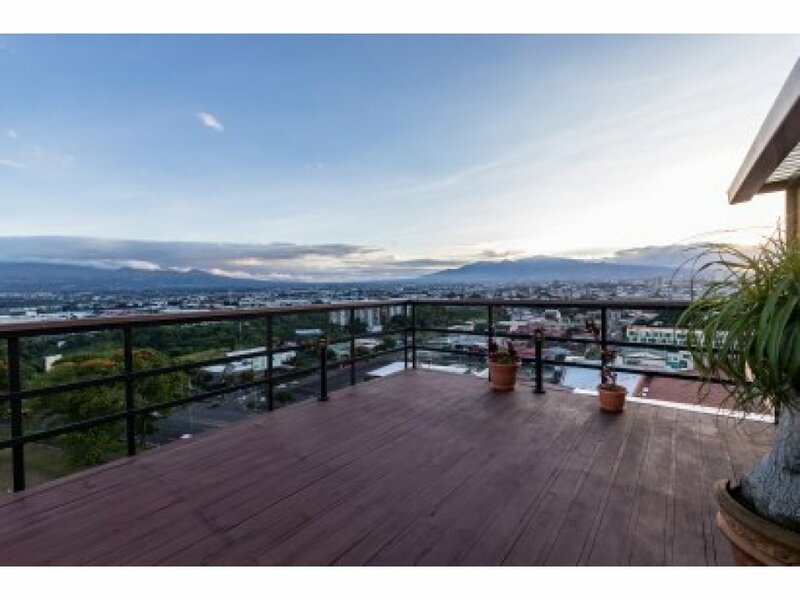 -Located within walking distance to the New National Soccer Stadium of Costa Rica. 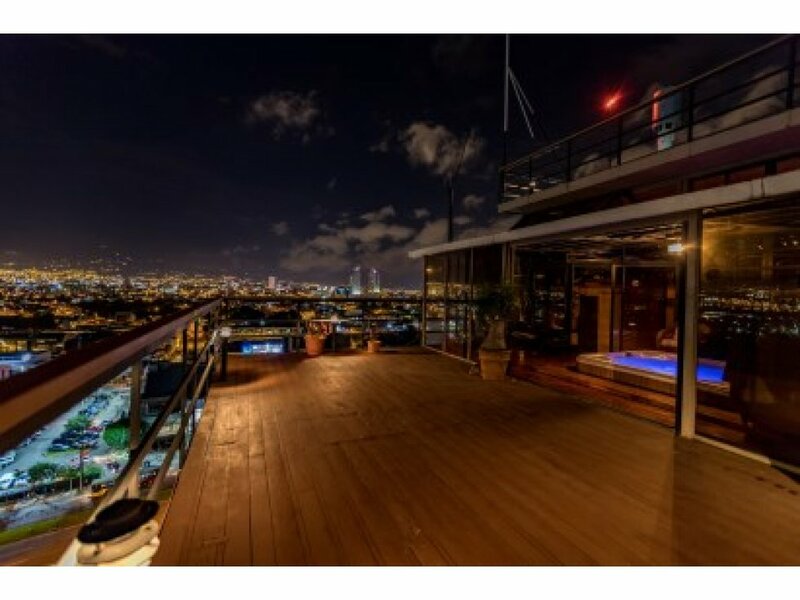 -This Penthouse is currently used as a residence but it has an active Commercial License approved for business pertaining to Social Gatherings. 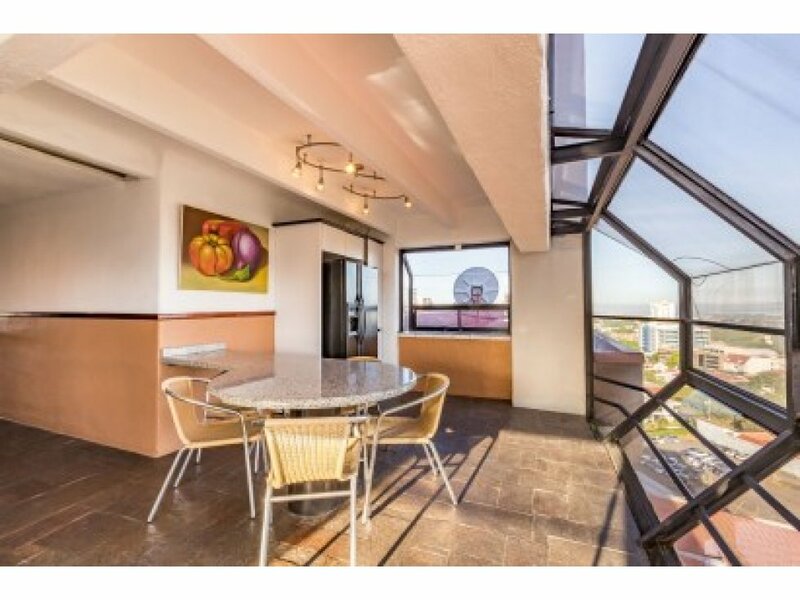 -Great Central Location close to everything San Jose and has to offer and just 10 minuets away from Escazu. 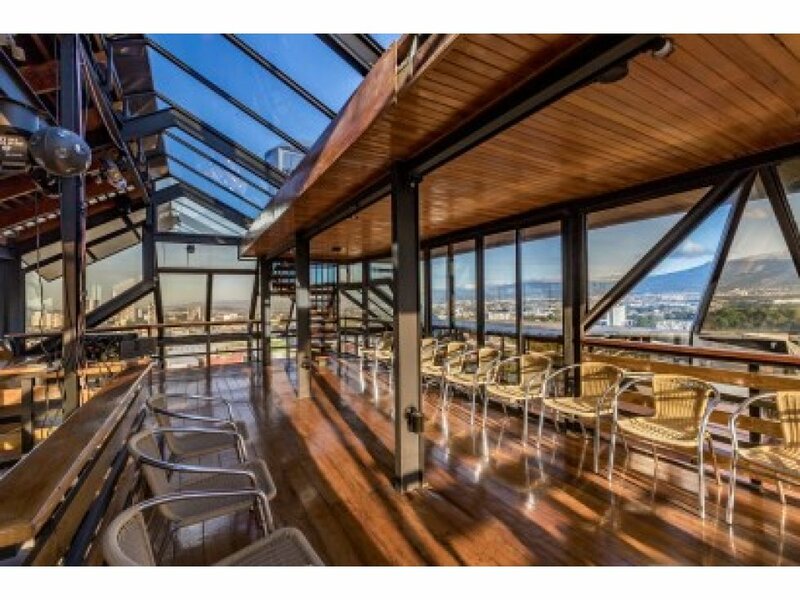 -There is no better place to have private parties with our new sound system and private dance floor the penthouse is ready to entertain you. 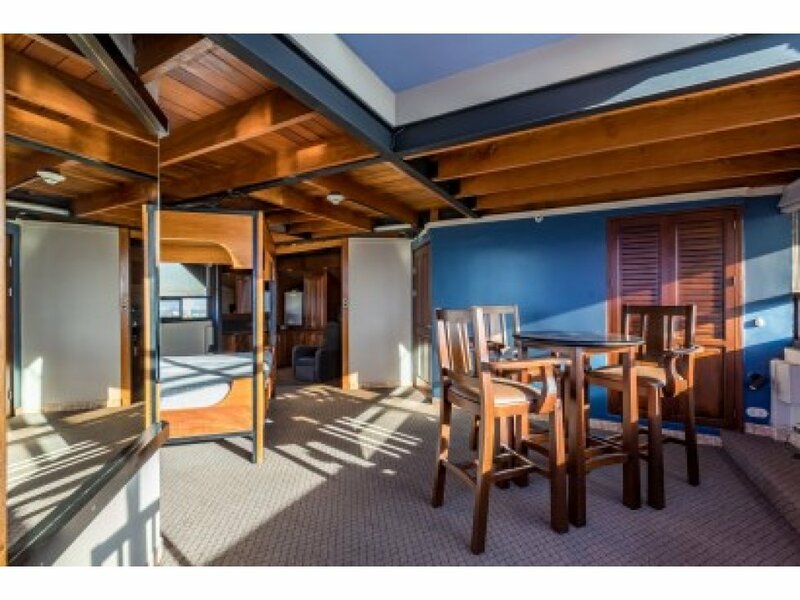 -This is a Private Residence and is considered a Condo and part of the Hotel. 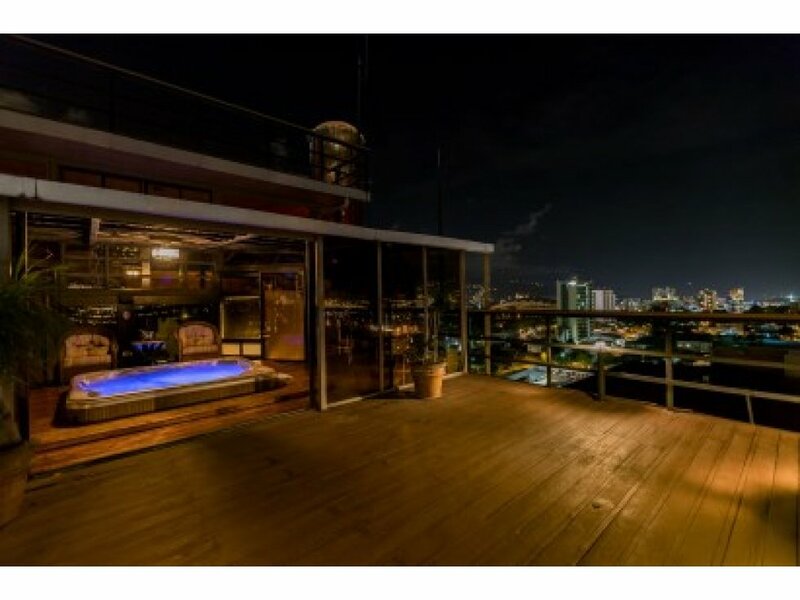 -This Penthouse has 6 distinctive floors and is unlike anything you have ever experienced. 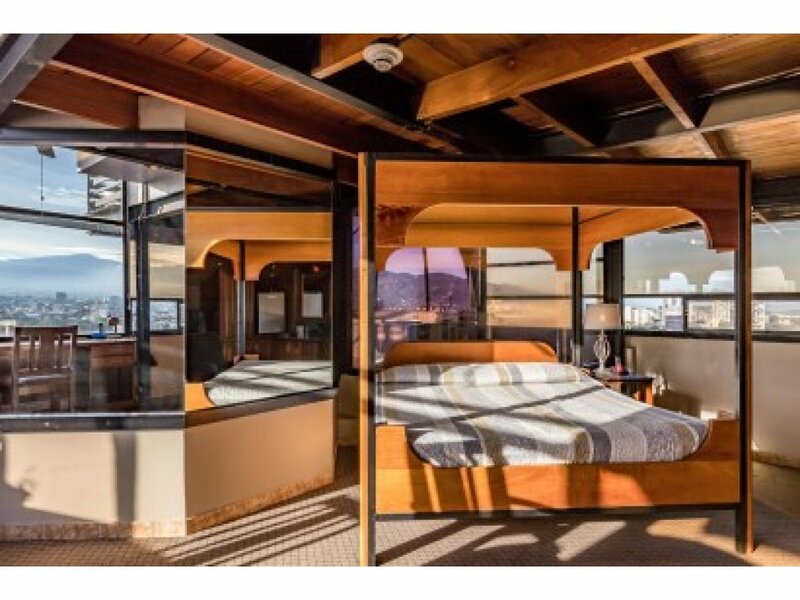 The construction is primarily concrete and steel with an abundant use of hardwood throughout. 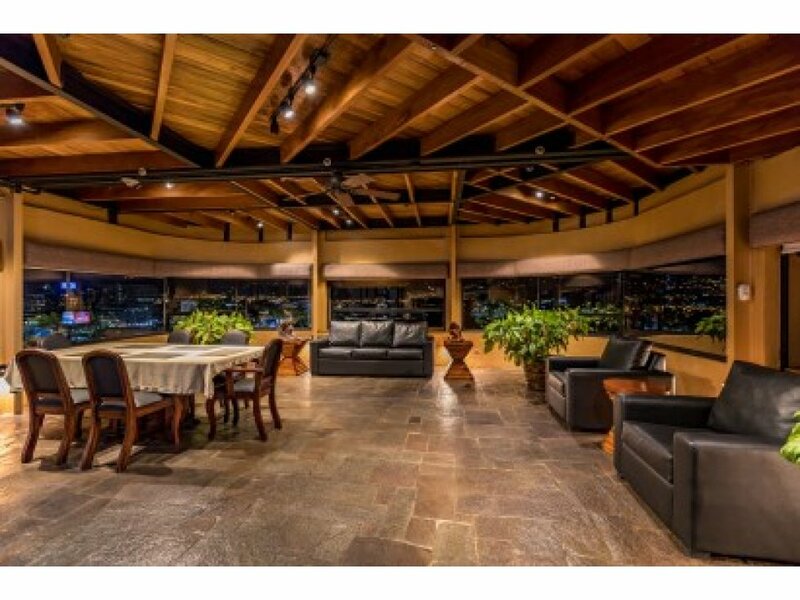 This Penthouse is designed for Costa Rica living and entertaining. 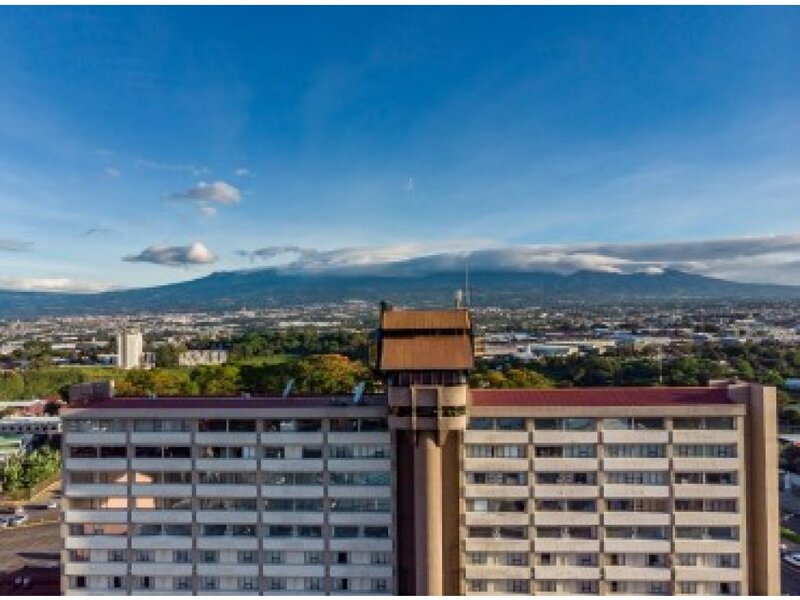 On the tenth floor you will find one of the two entrances to The Penthouse, enter through the door and into a 2-story hand painted mural of Costa Rica´s landscape. 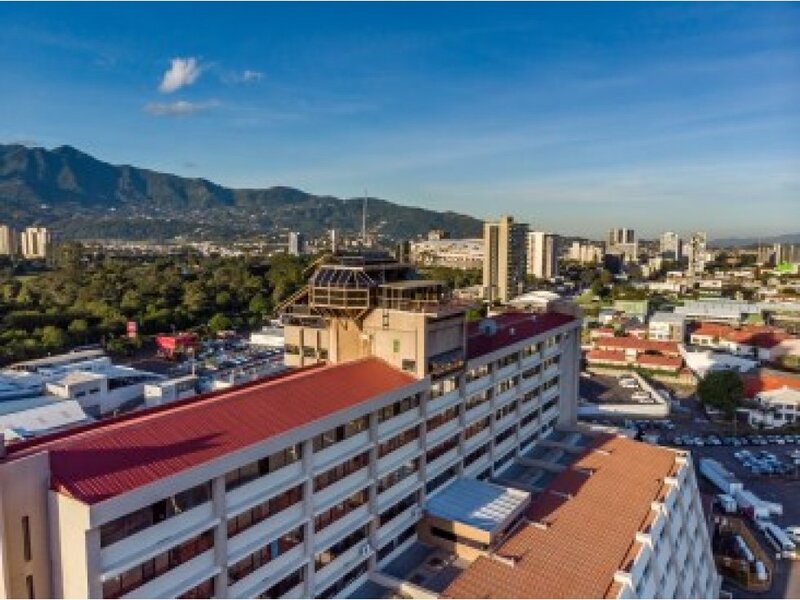 The second entrance is an elevator which can be accessed from your parking space in the secured parking garage or any floor in the hotel. 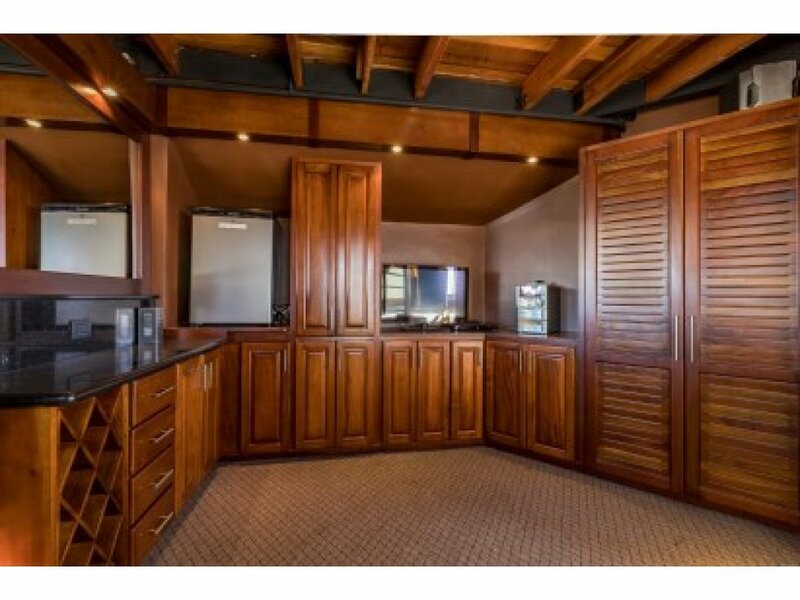 The kitchen has breath taking views and has granite counter tops, table and bar area. 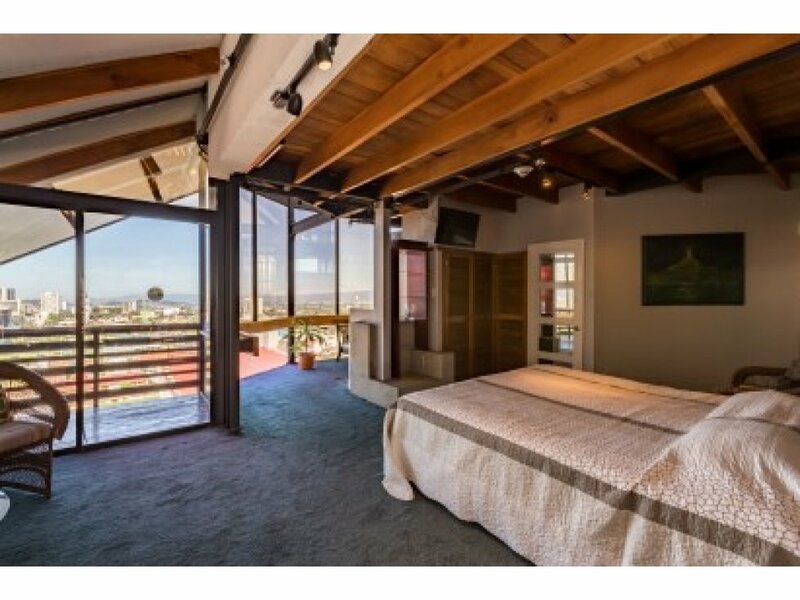 There are two master suites each on its own floor with master baths. 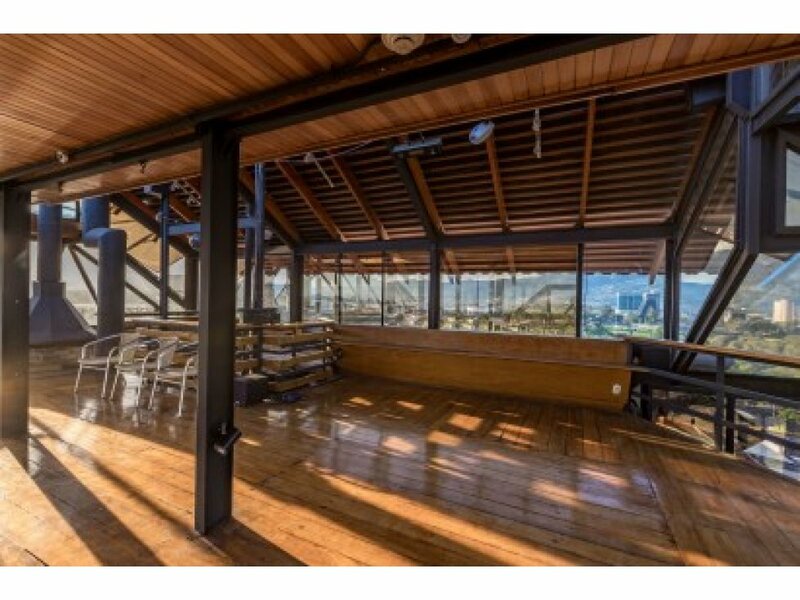 The Penthouse also features spacious living room, 2 fireplaces, large built in hot tub opening up to a large outside deck; sitting areas, intimate niches, spiral stair case and great room for conferences, meetings, dancing and entertaining plus observation deck on the very top. 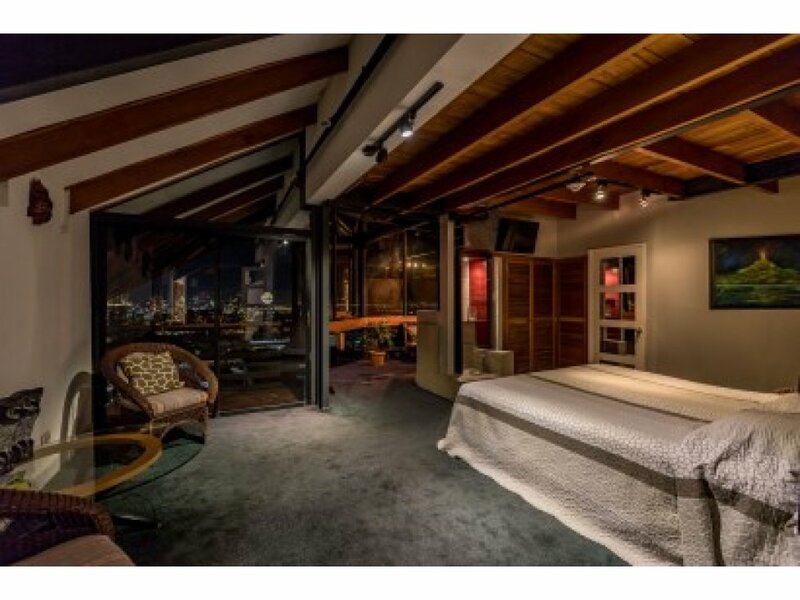 You must experience this property to truly appreciate it. 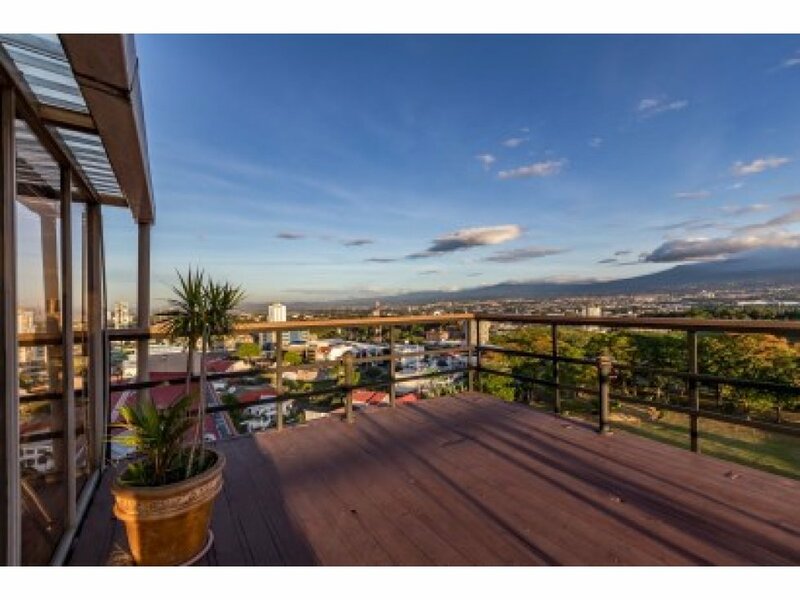 This Penthouse is ideally situated just 15 minutes from the Juan Satamaria International Airport and just a few blocks from downtown San Jose. Contact me for a detailed and complete listing details.